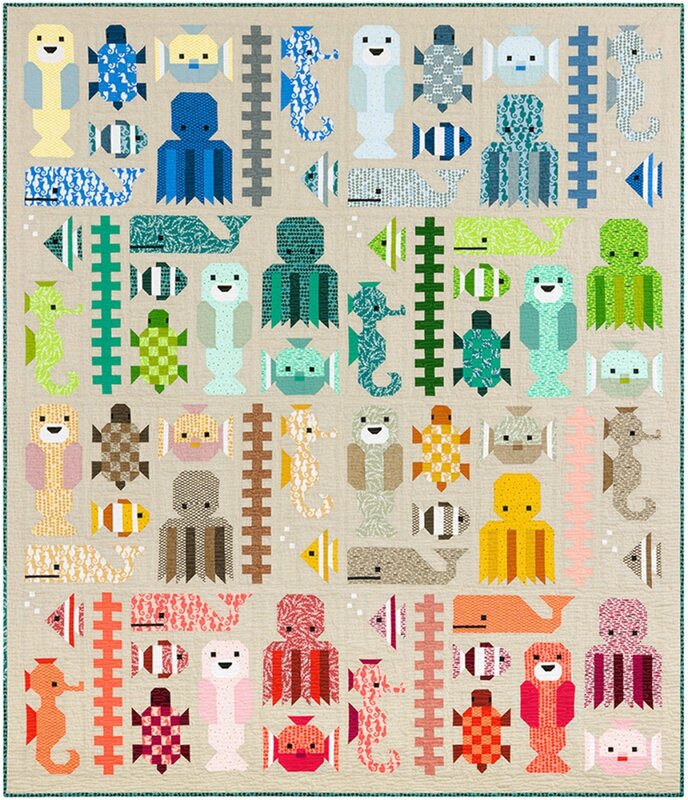 Awesome Ocean is a large 8.5" x 11" booklet pattern for an underwater creature sampler quilt. Similar to Fancy Forest, the pattern can be made in a large or small version. The pattern uses fat quarters and fat eighths and features my new Reef fabric collection for Robert Kaufman, as well as Kona and Essex coordinates. No templates or paper piecing required!